Anyone who owns a pickup truck knows that owning a truck means filling the obligatory role of friend-who-helps-you-move. It’s not fun to be that friend, and that’s one of the reasons Dolly was created: to let someone you don’t know be the friend with the truck. That way, your friends can stick to being your actual friends, and someone with a truck can be your moving Helper. And for many pickup truck drivers, they’ve turned the inconvenience of helping everyone they know move into a profitable job as a Dolly Helper – which is to say, the Dolly version of the friend with a truck. That’s exactly the case for Jonathan Gomez, a Dolly Helper in Boston who was thrilled at the idea of turning his new truck into an opportunity to make some cash. For Jonathan, Dolly came right where he was looking for work: Craigslist. “After I got my pickup truck, I was looking at Craigslist for jobs that I can do using the truck, and one of the posts was about Dolly.” It looked like a good opportunity for Jonathan, who was hoping to monetize his new investment. He was also drawn in by the fact that he would be an independent contractor, meaning he could select the jobs he wanted to take instead of being sent to any job that needed to be finished. “I’ve always loved being self-employed, and being able to be my own boss who works my own hours. That way, I have flexible time for my family.” So it’s only natural that when Jonathan isn’t helping Dolly customers with their moving and delivery, he’s spending time with his wife and son. Sometimes, he even gets to spend time with his wife while he’s on the job. “Working as a Dolly Helper has been a great, awesome, and unbelievably good experience. And it’s even better knowing I am able to work on the jobs with my wife, Amanda.” In addition to being Jonathan’s wife, Amanda is also Jonathan’s Dolly Assistant, meaning she often accompanies him to jobs requiring two people to assist with completing the Dolly. It’s a great chance for the two to spend time together (and they’re not the only couple who thinks so – Seattle Helpers Dan and Shawna are a married couple that love working together, too). “Make sure you’re equipped with the right items, always work smarter not harder and take your time doing the jobs. Always go above and beyond!” We’ll take that to heart, Jonathan! Have a truck and love helping others? 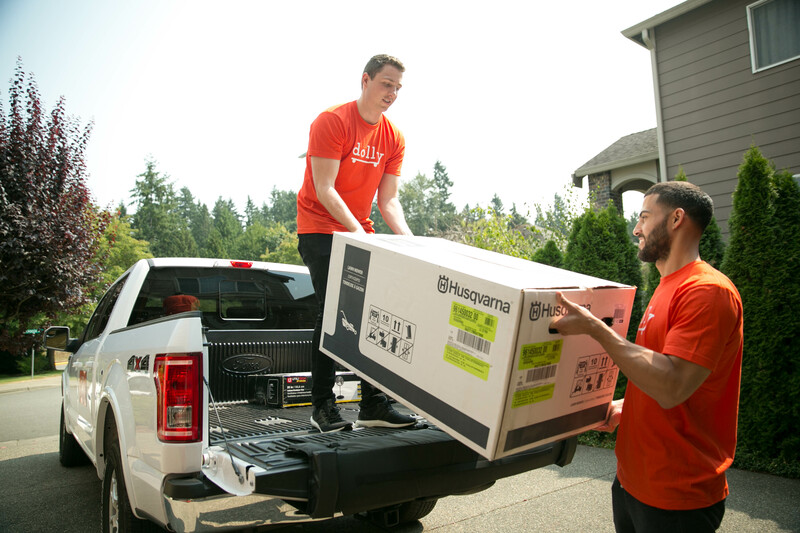 Become a Dolly Helper and get paid to help friends in your community with their small moves.